Rotary Club of Plainsboro along with Rotary International sponsored some school buildings. Club spent about $41,000 to renovate the schools in the rural area. It’s an ongoing district project, initiated by the Club. 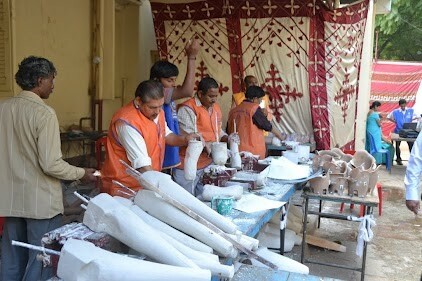 The camps are conducted every year to provide Artificial Limbs to people who are in need of a Limb. What is the Jaipur Limb? It is an artificial leg, developed at the Mahaveer hospital in Jaipur , India . The unique component is the Jaipur foot, a clever combination of wood and various densities of rubber vulcanized into a realistic looking brown foot. The Jaipur limb is hard-wearing and will last for three or four years, longer if worn with a shoe. One of the major differences between the Jaipur technology and western technology is the cost - whereas a western limb will cost between $2,000.00 and $4,000.00, a Jaipur limb can be made and fitted for as little as $35.00. What is Rotary District 7510 doing? Since its inception in 2003 Rotary Club of Plainsboro (RCOP) along with other clubs in the Rotary District 7510 has already supported more than 3000 amputees to walk. 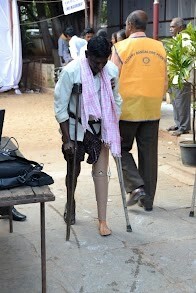 It is our goal to “Support 500 Disabled Leg-Less People Walk” by the end of the Rotary year. The most amazing part of the project is that $35 can make a leg less walk and deliver the gift of life. Since its inception in 2003 RCOP has done numerous Jaipur Limb projects totaling more than $100,000 (including the matching grant from the Rotary Foundation). The last activity was done in Jan 2011.Rotary Club of Plainsboro donated $5000 which was matched by the District 100 %. In the first week of January 2011,Rotary Bangalore Peenya (India) partnering with the Rotary Club of Brentwood (UK) and Rotary Club of Plainsboro conducted a large Jaipur Limb Project. Due to this project over 2,500 handicapped folks benefited. Since its inception in 1983, Rotary Bangalore Peenya has provided approx. 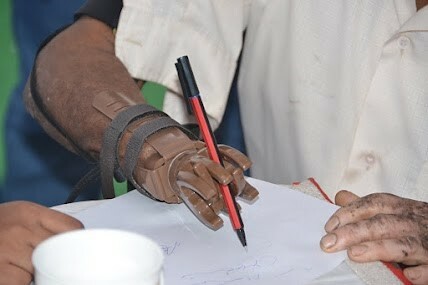 20,000 artificial limbs like Artificial Foot Limbs, Crutches, Calipers, Wheel chairs and Tri-Cycles .They have been conducting large camps for the last thirteen years. When this project was initiated by Rotary Bangalore Peenya, a matching grant application was approved by Rotary International for the total amount of $61,438 (out of which Rotary Bangalore Peenya contributed $1000, RI District 3190 contributed $5000, Rotary Club of Brentwood contributed $21624, Rotary Club of Plainsboro contributed $5000 and RI District 7510 contributed another $5000). The total co-sponsor contribution amounted to $37625. The total Cash and DDF amounted to $27,625 and the total funds requested from RI were $23,813. The total cost of the project was $61,438. 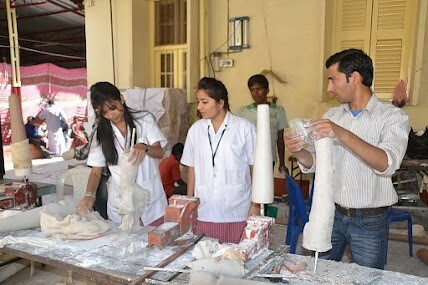 Since becoming involved in the Jaipur Limb Project in 2003, the Rotary Club of Plainsboro has sponsored many such camps in India and intends to support similar projects in other parts of the world. Conducted a free Health Camp, at New Brunswick Middle School. Provided toys to needy kids in the local church during Christmas. Sponsored an Interact Club in South Brunswick High School. The Interact club is a service club for youth ages 12 to 18 and is part of Rotary Club’s global initiatives. Globally, Interact Clubs involve as many as 200,000 youth through more than 10,000 clubs in 109 countries and geographical areas. The focus of Interact Clubs is community services benefitting both the school and the local community.